Brand new home with Midway/Glenview/Hanna schools - ready this summer. Open, flowing floorplan filled with light from rear wall of windows. 42" cabinets, granite countertops, tile backsplash, stainless appliances. Generously sized breakfast room PLUS dining room. Hardwoods flow from dramatic 2-story foyer through entire main level. Cozy stone fireplace with gas logs. Beautiful soft gray/beige color scheme throughout. Upstairs, large master bedroom with sitting area, and bath with separate tub and shower, private water closet, double vanity. Vaulted or tray ceilings and walk-in closets in every bedroom. Quiet homesite at back of the neighborhood. Close-in location near downtown, the college, and convenient to Hwy 81 and the East-West connector. 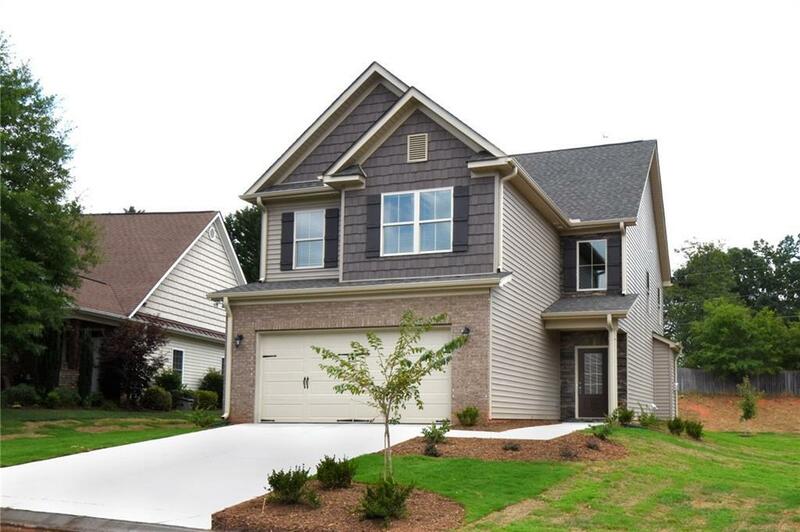 Open Sundays 1-5 or by appointment - come check this one out, and make it yours this Summer!